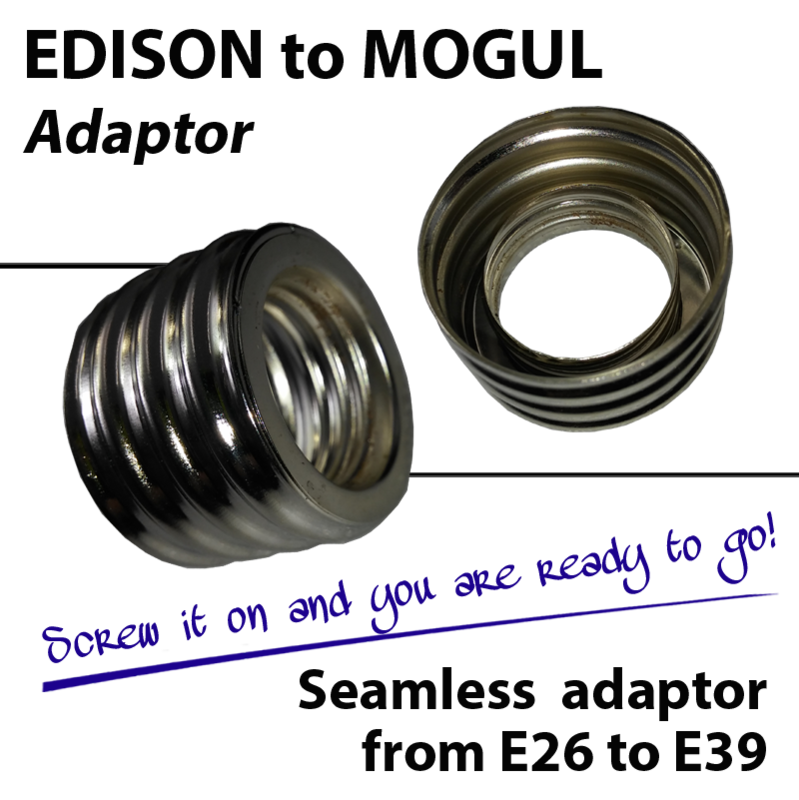 This Edison Medium base to Mogul base adapter can be used with our LED corn bulbs with medium base to fit a mogul base, giving you the advantage of using it with another base. Just screw the adapter to the base of the LED corn bulb and tighten up so the adapter will not be stuck into the base. If the bulb does not light up, turn off the power check the tab inside the base and lift it up, as it might have been bent down by the previous bulb and now is not making connection with the center of the corn bulb base. 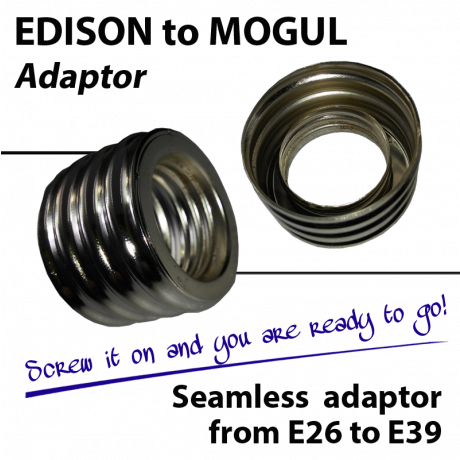 I had recently purchased a vintage bridge lamp that had a three-way mogul base and it was impossible to find an adapter that would allow me to use an LED three way bulb with an Edison base. This product works. I knew that I has seen one at a store some time back but everyone told me you would just have to use the ugly ceramic single adapter that would only give you access to a single bulb. Glad I found you and if I find anymore vintage lamps with the same problem, "I'll Be Back"(with apologies to Arnold).